Home and flood insurance is a mandatory investment, especially if you are living in a flood-prone area. For homes and offices near a water body or in an area prone to cyclones and thunderstorms, insurance provides much-needed protection. In case of a disaster, you can fall back upon the insurance to get things repaired or renovated without having to worry about how you will manage the losses. Realizing the importance of flood insurance is as necessary as knowing from where to buy flood insurance, what is the cost, the cover provided by the insurance, does it fall under FEMA, etc. In this post, we try and cover some of the most pressing issues, homeowners in California face with regard to flood insurance. 1. Is flood insurance included in a homeowner’s insurance? 2. How much will I spend to buy flood insurance? The above factors influence the premium rates, for example, if your home has a basement you may be required to pay $425. You may have to make an additional payment of $250 for non-residential property falls into the calculation, while it is $25 for residences. 3. What are the risk rates taken into account to calculate flood insurance? These are known as Non-Special Flood Hazard Areas or NSFA. The risk rate of any flood occurring within this space is between 0.2% to 1%, which means that the risk of flooding is low. In such cases, the premium is quite low and for homeowners, it is a good idea to buy the insurance. The cost of policies per year under the NSFA category ranges from $ 405-452. You have to pay 20% of the claim to NFIP as the policies fall under them. When we speak of high risk, we refer to SHFA or Special Flood Hazard Areas, where the chances of a flood damaging a home are high. According to FEMA, there is 1 in 4 chance of a flood in these regions and being safe and protected is a good option. For properties in such regions, high-risk insurance companies charge quotes which are higher than NSFA zones. Average yearly premium payment for SFHA zones is $2,500. Premium rates are higher for such sectors as there has been no survey conducted to check the flood-risk rate of such areas. If your house is under mortgage plans and the repayment is due, it is vital to have the property insured lest any accidents occur from flooding. 4. Does FEMA have a role to play in flood insurance? Communities actively involved in these programs are eligible for discounts. The NFIP communities in California are an example of how when people of a community come together, they are better equipped to manage disasters. If you are interested in more information, you can visit the NFIP site to check if your area is under high risk of flood. Generally, flood insurance policies under FEMA cost around $700 per year – but as mentioned above this amount can vary depending on the location’s risk factor. 5. What coverage can I expect from Flood Insurance? Window blinds and curtains along with permanently installed carpeting, wallboard, etc. Kitchen appliances such as refrigerators, dishwashers, microwaves, etc. 6. What does Flood Insurance Not cover? any damage outside the value of the policy. If the cost of your damage exceeds the destruction amount, the insurance under FEMA is not liable to cover it. Buy home insurance for flood areas or flood insurance before the disaster strikes. You will get the financial support to keep you afloat during the tumultuous times. 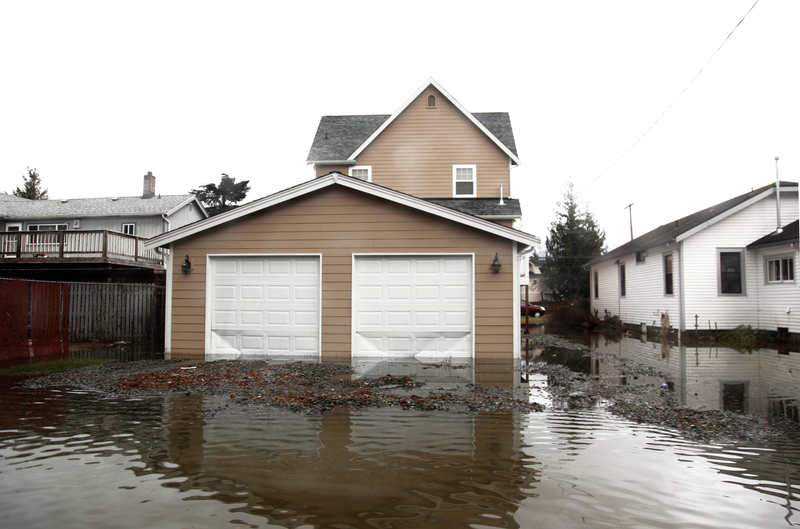 In case your home is damaged during floods, NFIP may give you $30,000. You can use this money to tear down, raise or relocate your home. This amount is added to the claim you will get from NFIP. However, the total amount you can claim cannot go beyond $250,000. And remember, to make a list of all your belongings, your insurance and claims etc. and store in an online folder. This entry was posted in Flood Insurance. Bookmark the permalink.